This blog represents my own personal opinions, thoughts and ideas, and should never be relied on as legal advice. My goal is have a national discussion with the grass roots citizens to see where we can affect the changes we want for our families, communities, and Nations. We owe it to our ancestors to protect our cultures and territories for our future generations. Prime Minister Trudeau and his Liberal Party have been taking a significant amount of heat for their collective failures to act on their substantive promises to First Nations — including, water, housing, education health and Aboriginal, treaty and land rights and title — as well as his approval of the Kinder Morgan pipeline without First Nation free, prior and informed consent. Here in Ontario, many First Nations also have their focus on Election 2018 and what it might mean for their relationship with the Crown in right of the province of Ontario. In theory, it shouldn’t matter which party gets elected in Ontario assuming they follow the rule of law which includes respecting Indigenous laws, the right to be self-determining, inherent rights, Aboriginal rights and title, treaty rights and the right to free, prior and informed consent. However, we know from practice that federal and provincial governments breach Aboriginal rights more than they honour them — so in that respect, it really does matter which party is elected — at least to some degree. It is important for voters — First Nations and Ontarians alike — to be familiar with the actual platforms of each party and not just their catchy slogans. We need to know in what ways these candidates will move forward in a spirit of reconciliation with First Nations in concrete terms. To this end, only two of three major parties have grown-up platforms — the NDP and the Liberals. The Conservatives don’t have an actual platform — unless we include the 12 promises made on the landing page of Doug Ford’s website — none of which contain more than a few sentences or mention Indigenous issues. Of the three platforms, only the NDP and Liberals have commitments specific to First Nations. The NDP and Liberal platforms share similar promises to First Nations, including their general commitment to reconciliation and to maintaining a government-to-government relationship. 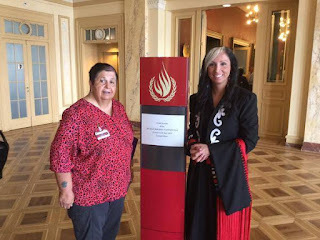 They also both commit to maintain support for the national inquiry into murdered and missing Indigenous women and girls as well as addressing racism in the justice system. Both also commit to cleaning up the mercury contamination at Grassy Narrows and to ensuring that the Ring of Fire is developed. Responsibility for First Nations health care has been the subject of much debate between the federal government’s section 91(24) jurisdiction in regards to “Indians and lands reserved for the Indians” and the provincial government’s section 92(7) jurisdiction in relation to hospitals. This debate has largely left out First Nation jurisdiction and the treaty responsibility to provide health care — a responsibly which is shared by the Crown in Right of Canada and the province. However, unlike other provinces, both NDP and Liberal platforms in Ontario make significant funding commitments to fill federal underfunding in health care on reserve. There are key areas where the NDP and Liberal platforms differ. The NDP promises to work with First Nations to create stable revenue sources, including resource revenue sharing. One of those commitments is to transfer all taxes made from mining in Ontario to First Nations, which the NDP estimate to be about $218M over five years. The Liberal platform on the other hand does not specifically commit to share in resource revenues, but only agrees to share in the “benefits of resource development” which could literally mean anything, but most likely refers to the usual jobs and community projects. In a similar vein, the NDP also specifically commits to respect First Nation treaty rights— something the Liberal platform does not address. Neither party addresses Aboriginal title and treaty land issues, or the addition of much-needed lands to reserves, except the Liberals who agree to continue land claim negotiations trilaterally with First Nations and the federal government. One need only look at the long-standing Six Nations land claim for the Haldimand tract as an example of how ineffective these negotiations are as “solutions” to land claims. Another critical area where the NDP and Liberals differ is in how they plan to address the crisis over over-representation of First Nations children in the foster care system — something federal Indigenous Services Minister Jane Philpott called a “humanitarian crisis.” Yet despite the crisis, the federal government has delayed complying with the orders of the Canadian Human Rights Tribunal to end racial discrimination and properly fund First Nation child and family services. Therefore, it matters whether or not the province of Ontario will step in. The Liberals have not made any commitments to address this crisis, but the NDP has promised to work toward the goal of no First Nation children in care; to end the use of solitary confinement for children; and to work with First Nation leaders and experts to identify the needs of these children. Both the NDP and Liberals commit to making First Nations a priority in terms of skills training. Neither made mention of specific contributions to First Nation post-secondary education, though the Liberals currently provide some funding to First Nations to attend university as well as support Indigenous educational institutes. Both plan to support Indigenous institutes and programming for Indigenous children, youth and families living off-reserve. Only the Liberals have made a commitment to fund 4,500 new childcare spaces on reserve and $70M over two years for childcare spaces for off-reserve children and families. 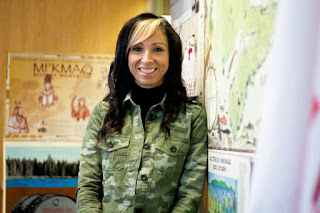 This is a significant commitment given the fact that most children on reserve live in poverty and their homes are mostly headed by single mothers who could use childcare support for education, training and employment. Ultimately, both the NDP and Liberals make significant commitments to First Nations. The Conservatives have made no commitments at all. In fact, the 12 bullets on Ford’s webpage tend to show more of an obsession with Kathleen Wynne and ending carbon taxes. So far, all we have to go by is Ford’s reported failure to respond to requests for his Indigenous platform; his alleged refusal to allow an Indigenous woman to one of his events; he and his family’s alleged involvement in the drug trade; his alleged need to hire actors at events as supporters; and his alleged purchase of bogus memberships to support Conservative candidates — let alone his Trump-like views on women’s reproductive rights and climate change. He is not likely to be a strong candidate for the First Nation vote. Finally, there was no firm commitment by any party to address First Nation land and resource ownership or specific treaty rights. Nor was there any firm commitment to implement and respect the right of First Nations to free, prior and informed consent before any provincial decisions, laws or actions are implemented that might impact First Nation rights and title. In the end, whoever is elected will face the same issues as Trudeau and will have to decide whether reconciliation includes the rule of law, including Indigenous law, treaty law and constitutional laws, or more empty promises. Outstanding summary of the platforms as they relate to FN. This is very useful info for the voters and First Nations in Ontario. This article was originally published by The Lawyer’s Daily on October 12, 2018. The federal government recently announced that it will not appeal the court decision which quashed Canada’s approval of the Trans Mountain pipeline expansion. Instead, Canada will engage with the 117 impacted First Nations in a consultation process led by former Supreme Court of Canada Justice Frank Iacobucci. If ever there was a sign that the government was going to force this pipeline expansion through the review process, this is it. After all, federal elections are just around the corner and Liberal Prime Minister Justin Trudeau has become the face of the Trans Mountain pipeline dispute and all the broken promises that it entails. Being criticized from all sides — the provinces, industry, Canadians and Indigenous peoples, and now the Federal Court of Appeal — Trudeau decided to bring out the big guns: Iacobucci. 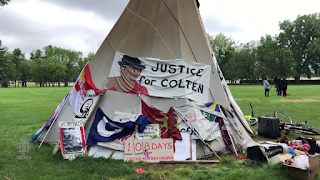 The violent deaths of Colten Boushie in Saskatchewan and Tina Fontaine in Manitoba hit their families, communities and First Nations pretty hard. These were youths who had their whole lives ahead of them. The fact that deep-seated institutional and societal racism and violence against Indigenous peoples is what led to their deaths is a glaring injustice that we have seen happen many times over to our people. But the other glaring injustice is how institutional and societal racism and violence allows the killers of our people to walk free. The high level of impunity for lethal race-based violence against Indigenous peoples serves only to reinforce the racist idea that Indigenous lives don’t matter. Without intervention from federal, provincial and municipal governments, agencies and police forces, our people will continue to be at risk.